To celebrate the arrival of our new anti-vibration, anti-scuff mats, we decided to give a few away - five in fact! Help Arrow Banish the Blah! Are you a great quilter? Have you been pining over a particular Arrow or Kangaroo Cabinet? Well then, we have a proposition for you! Pretty blah spaces right now, don't you think? 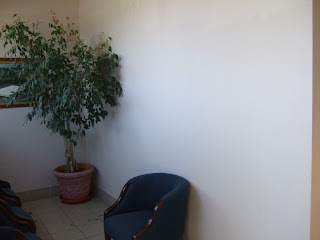 We'd love to hang some wonderful handmade creations in these spots and banish the blah! We are looking for some quilts that follow the spirit of our slogan, "Where Creativity Meets Color". We'd also like them to include some of our signature pistachio green (Pantone #360, to be precise). If you think you have a quilt that you've already made, or design idea that would banish the blah, then keep reading! 1. We are in need of three quilts - one quilt approximately 65" x 55", and a pair of 36" x 36" quilts. 2. Quilts must be colorful and creative, should contain some of our signature pistachio green, and must be in new condition. 3. Quilts must be pieced and finished by you - they can be machine-quilted by someone else. If you feel that you have an already completed quilt that meets the criteria, please send pictures to hether@arrowcabinets.com - we need full length shots and close-up shots. 4. Submissions must be received in our office or via email no later than 7/22/2013 at 5 pm Eastern. 5. Submissions will be reviewed by Arrow staff, and winning submitters will be notified by 8/8/2013. 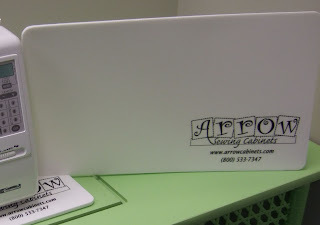 If your premade quilt is chosen, you will have 14 days to send it to us here at Arrow. If the quilt is not received within 14 days, or if once received the quilt is found to have been misrepresented in photos, Arrow reserves the right to reject it and choose another submission. If your quilt design is chosen, you will have approximately two months (until 10/8/13) to complete it and send it in to us here at Arrow. If the quilt is received and Arrow feels that the skill level of the quilter was misrepresented and the quilt does not meet Arrow's standards, then Arrow will have the right to reject it and choose another submission. 7. Prizes: Once the quilts have been received AND accepted, the submitters will get to choose an Arrow or Kangaroo cabinet based on the size of the quilt submitted. Large quilt: Any Arrow or Kangaroo cabinet that has an MSRP of 699.99 or less, or 699.99 off the MSRP of any Arrow/Kangaroo cabinet. Small quilt: Any Arrow or Kangaroo cabinet that has an MSRP of 599.99 or less, or 599.99 off the MSRP of any Arrow/Kangaroo cabinet. 9. Cabinets will be shipped to the winners' homes (please note: cabinets will be shipped unassembled). 8. Contest open to residents of the U.S. and Canada. to Cindy Proehl from Hot Springs, NC! Congrats Cindy, we'll be mailing your prize shortly! Please make sure you are registered for all of our great giveaways! Click on the purple "Sign Up For Our Giveaways!" tile under our timeline picture on our Facebook Page! We hope that Patricia Hersl from Milton, DE will enjoy kicking back with her favorite beverage and reading a couple of new magazines! Congrats Patricia, we'll be mailing your prize shortly! If you didn't win, don't be sad! 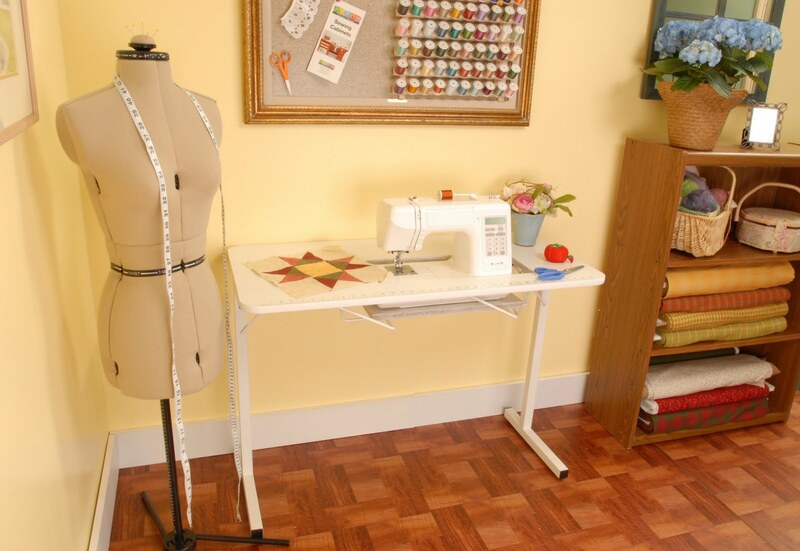 We do a swag giveaway every Friday, and as soon as we hit 11,000 likes on Facebook, we'll be giving away another Gidget sewing table! We've officially begun our journey to 20,000 likes with our first "500"milestone - a Gidget sewing table giveaway! 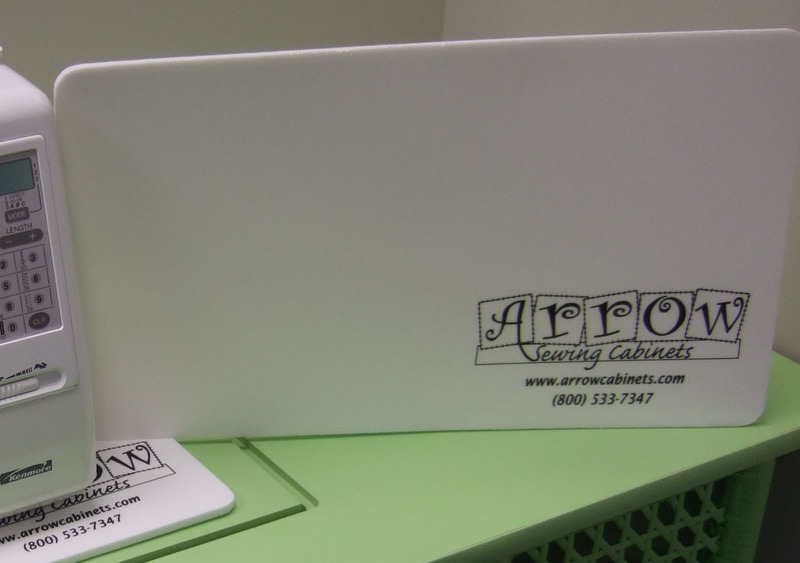 In fact, we're giving away two - one to the lucky winner and one to her (or his) favorite sewing/quilting store! Diane Anderson from Tomball, TX! Congratulations Diane! Please keep an eye out for an email from us, or feel free to give us a call at 1-800-533-7347, option 1.
to Tamara Gallahan from Montclair, VA! Congrats Tamara! We'll be sending your prize out shortly! After a little hiatus, The Book Nook is back! Every few weeks, we'll be reviewing a sewing-related book here on the blog. 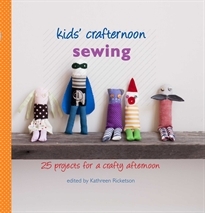 Our choice for this installment is Kids' Crafternoon - Sewing: 25 Projects for a Crafty Afternoon. It's edited by Kathreen Ricketson, and is one in a series of craft books featuring kid-friendly projects. Kathreen Ricketson is the founder of WhipUp.net, the online handcraft hub, and Action-pack.com - a e-magazine for kids who want to do stuff. She has been featured on popular craft blogs such as Design*Sponge and Craftzine. The book starts off with the a sewing basics section, then goes over tools and materials. There is also a section on safety, which I think is a great idea for a book aimed at kids. After that, the projects begin! There are 25 projects divided up among four categories: Fashion & Style, Play & Party, Read & Relax and Spruce Your Space. 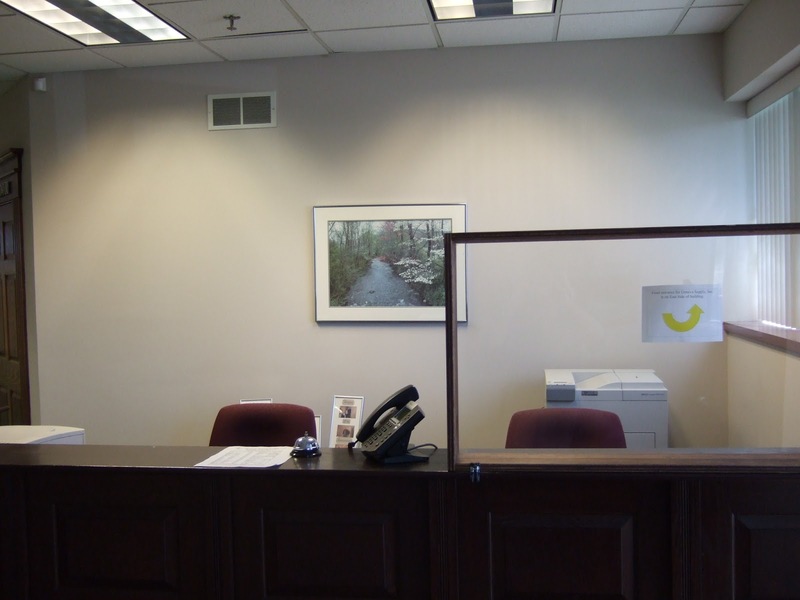 Each project has a skill level, a time estimate for completion, and a list list of tools and materials. There is a color picture of the finished project, and hand-drawn illustrations for the steps. Depending on your fabric choices, I think the projects would appeal to a wide age range. The book was only physically in the house for an hour before the almost-a-teenager ran off with it. When she finally gave it back, I was informed that we would be making several projects in the book. She especially loved the iPod and iPhone covers made of recycled sweaters! The book itself has a covered spiral binding, which I love. That means it lays flat when it opens - very handy when you're trying to follow along on a project. It also has an envelope of templates inside the front cover - also very handy! Keep in mind, however, that all of the measurements in the book are metric, so you'll have to do some converting. We'd like to give you a chance to try this book out, so we've got a copy to give away! Leave a comment here telling us why you'd like to win it. Make sure the comment also includes your first name, last name, city and state so we can find you. Be sure to like us on Facebook as well, and fill out our contest registration form - the link is located on our Facebook page. Deadline for comments is Thursday, May 9th, 2013 at 5 pm Eastern time. Good luck!